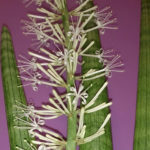 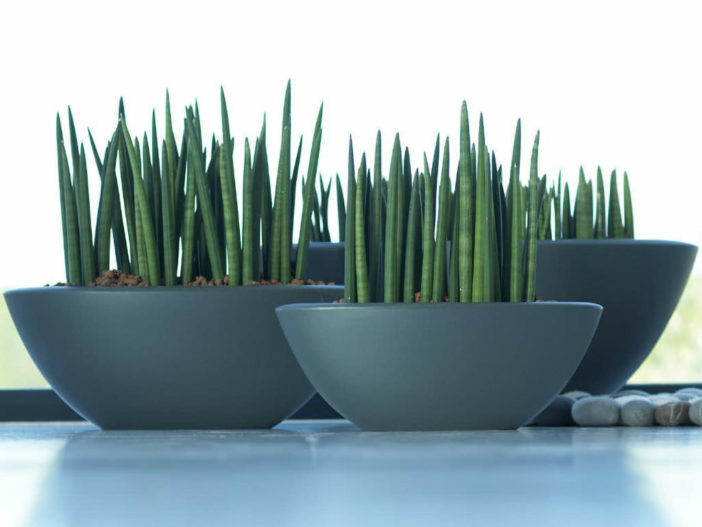 Sansevieria cylindrica is a very striking succulent with striped, round leaves that are smooth and a green-gray in color. 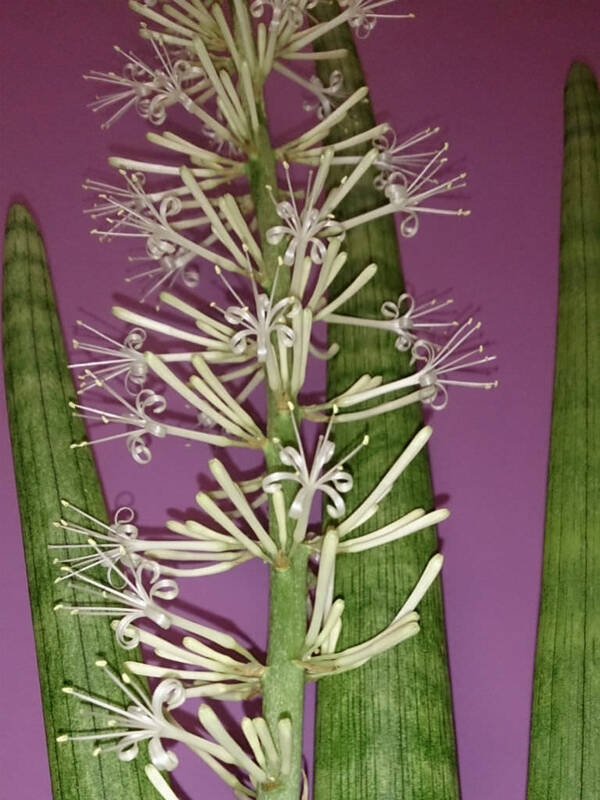 A single leaf is up to 1.2 inches (3 cm) thick and grows to a height between 3 and 7 feet (0.9 and 2.1 m). 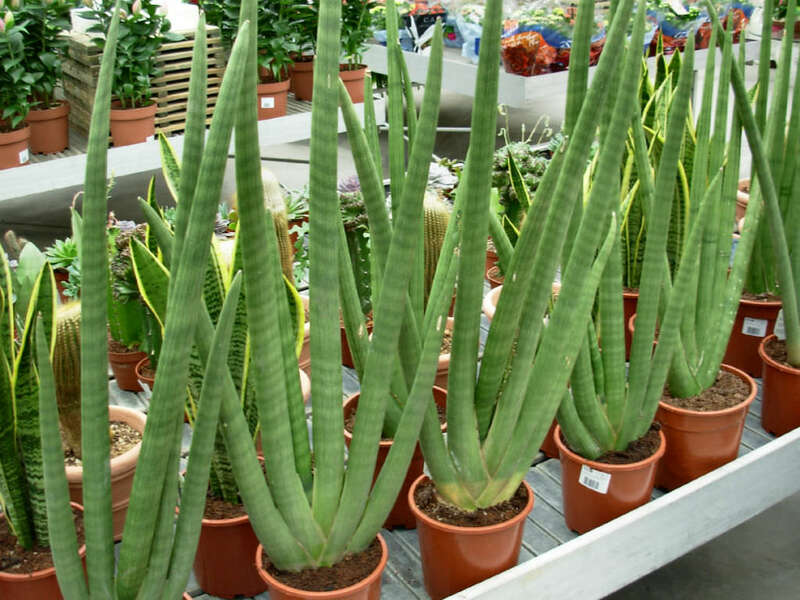 It grows fan-shaped, with its stiff leaves growing from a basal rosette. 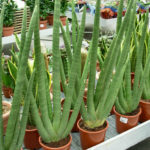 If grown in bright enough light this plant can produce a 3 foot (90 cm) spike-like raceme of pink-budded white flowers.